Why Morzine is a 'go to' destination for road cycling! Having hosted the Tour de France more than 20 times since 1975, Morzine has a rich history in the road cycling world. As a regular stage town for the Critérium du Dauphiné and home to a number of Cyclosportives, including the grueling Morzine Vallee d’Aulps, which covers 150km and over 3900m of vertical ascent, Morzine is the place to be this Summer for road cycling! Morzine and Avoriaz host some pretty tough mountain passes or ‘cols’ made famous by the Tour de France. 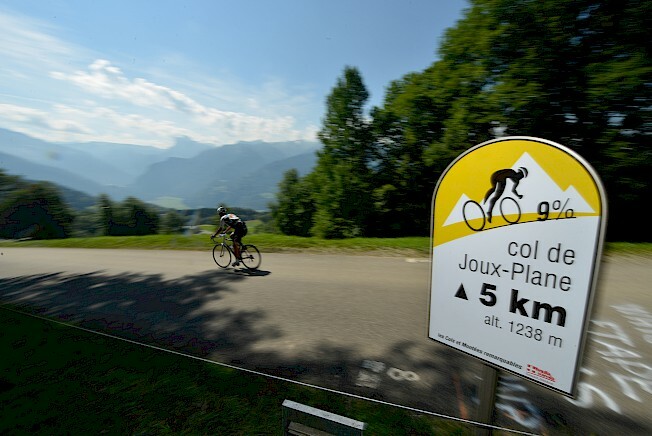 The most famous has to be the Col de Joux Plane which stretches between Samoens and Morzine and is well known for putting Lance Armstrong in trouble during the 2000 Tour. With an average climb of 13% this is a toughie but a must do for any advanced cyclist. Some other must do Cols in the area include, Col De La Ramaz, Col De JouxVerte, Col de l’Encrenaz and a little cycle away; Col De La Columbiere. If you don’t feel up to a grueling climb up the Cols there are some great other circuits that provide a mellower yet still challenging route. There is the beautiful valley floor ride from Taninges to Sixt Fer A Cheval or for a full day ride you can do a full tour around Lake Geneva. 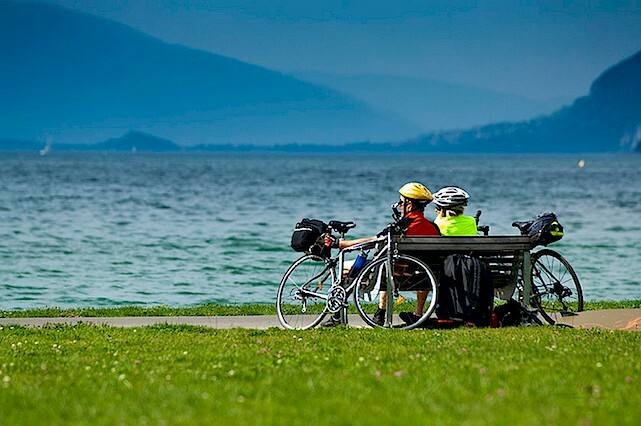 The Tourist Office have also provided a great Guide to Road Biking in the area which shows the well-known climbs, routes and full and half day rides with detailed info on distance, elevation and time needed to do the routes. 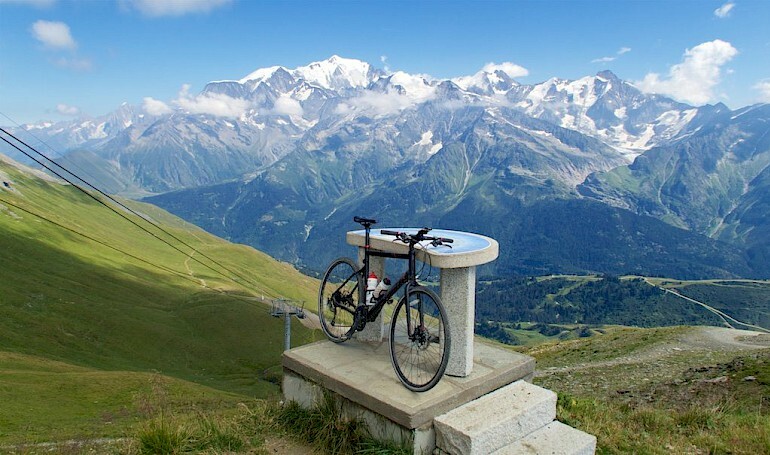 Another reason to head out to the Alps for a biking holiday rather than sticking to your regular routes in the UK has to be the views! With stunning mountain vistas within Morzine and the surrounding Valley you can guarantee any ride you go on is going to supply you with breathtaking scenery. Morzine and the Portes du Soleil is set against the amazing backdrop of the Mont Blanc Massif so if you plan your route right on a clear sunny day you can spot the incredible peaks of Mont Blanc! 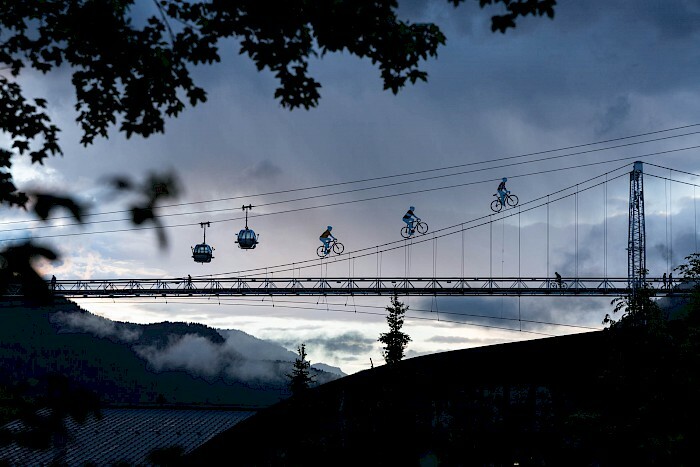 Morzine has some great biking events hosted in town each Summer! This year we have the Paris – Nice Cyclo, the Morzine-Haut Chablais Cyclosportive and the Alps Haute Route to name a few. Head to our Summer Events in Morzine to find out more. If you are interested in booking a cycling holiday in Morzine we have some perfectly suited accommodation for any budget from rooms in our Hotel L’Aubergade to catered or self-catered stays in our Chalet Chambertin. For more information please contact thechalet@MountainMavericks.com. Previous: Super Morzine Opens Early for Summer 2017!